Recently I met an acquaintance in his new business: Urban Bikes . It is a business around electric bicycles, he sells them rents and repairs. It is not the only shop in Bilbao but certainly it is well located and collaborating with some other small businesses for alternative tourism offers. He told me that he hoped a great future for electric bikes in cities and even if it is not boasting in Bilbao for now it could be in any moment. I do not know anything about this business but it seems he is doing a great job and I really hope he is successful because this would mean we are advancing in transport transformation towards lower carbon footprint. Because I have the feeling (someday I should put data in that feeling) that transportation is among the main carbon emissions activities the one that is advancing less or has less current possibilities to advance. Maybe this “small” electric vehicles will play a significant role in that transformation and not everything will be a technology substitution in cars. It is a known fact for anyone reading scientific news that there is much concern and research in renewable energies, energy storage, low C transportation and some other subjects closely related to climate change. This means that there are many scientists warned by our climate future and they have convinced investors from politics or private sector to research in those areas. This fact is not frequently displayed in the news but there are exceptions as this list of 10 emerging technologies of the world economic forum. The so-called top producers correspond to the 16 countries that concentrate the 80% of consumption, the data come from the Wikipedia and are from 2009-2010, in this moment they should be better for many places. 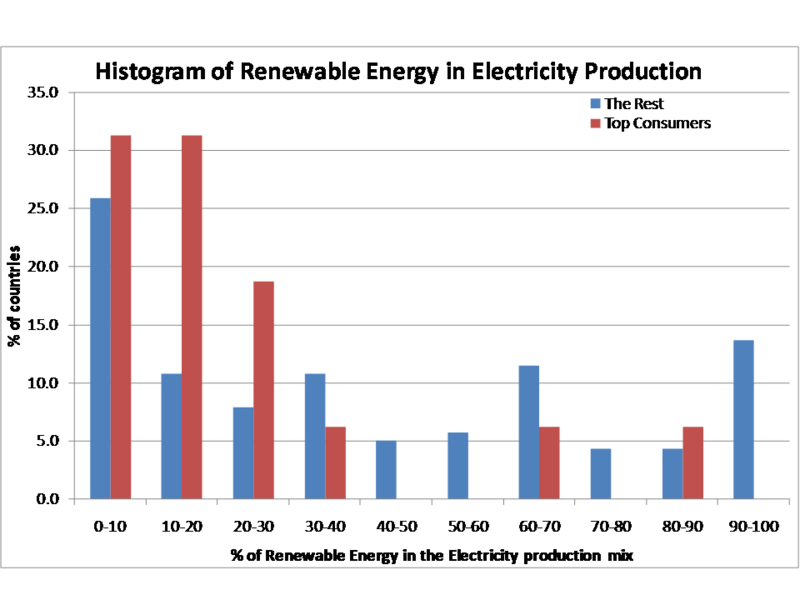 The top producers are less renewable than the rest. But even there, there are 2 countries with most electricity from renewables, so it is possible to maintain a “big” electricity system this way. “The rest” show a lot of countries very renewable. It is hopeful because they should be the ones needing more new energy, so they can install it renewable. In th other hand this confirms that the problem and solution is concentrated in a few bunch of countries. 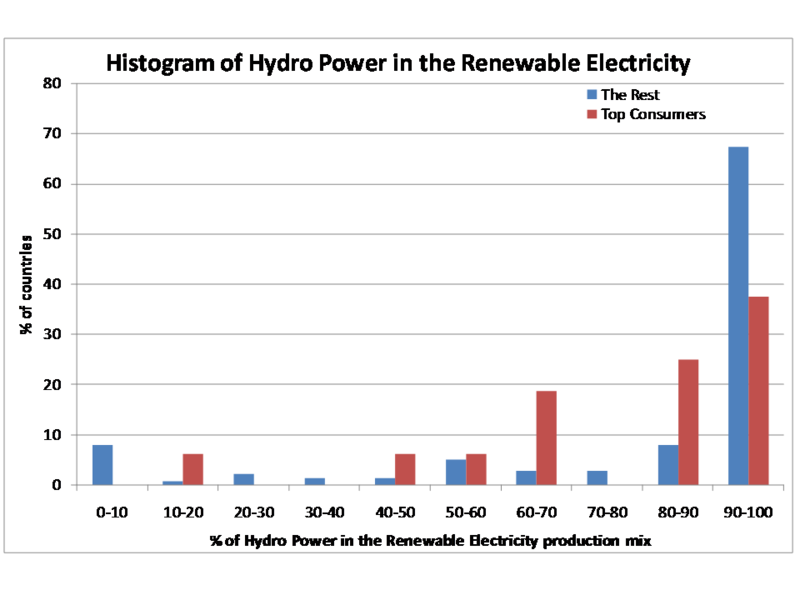 Among “the rest” hydro power is their main source of renewable energy, among top consumers too, but with significant amount of others as wind, solar or even Geothermal. This is interesting as the future and present should come from them. 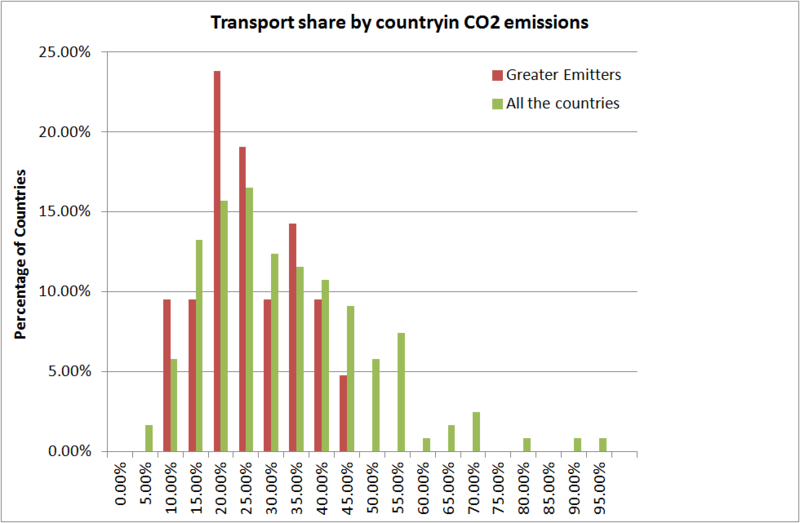 In the world the CO2 emissions corresponding to the transport sector sum a 22% of the total. Nonetheless this percentage varies seriously from country to country. Among the top emitters (next table), China and India do not reach the 10% emissions by transport, Germany and Japan are close to 18%, the USA are around 26% and some like Mexico or Brazil are above 35%. So transport is very important depending on the location. Next histogram includes the distribution of these topo emitters but also the whole world, and in this case the panorama is even more complex with a range from less than 10% of the share until more than 90%. Anyway, one thing is quite regular for all of them road is the main transport emission source, a 16% around the world but up to 80% in Congo or 35% in Mexico. Meanwhile, americans are driving less, (reducing that 26%) some also talk about peak car there. One thing is clear, if we want to mitigate climate change, we will have to drive less (mas transit, bicycle, or just walk), do it more efficiently or change cars technology or all at the same time. In some cases it is not difficult to start saving CO2. 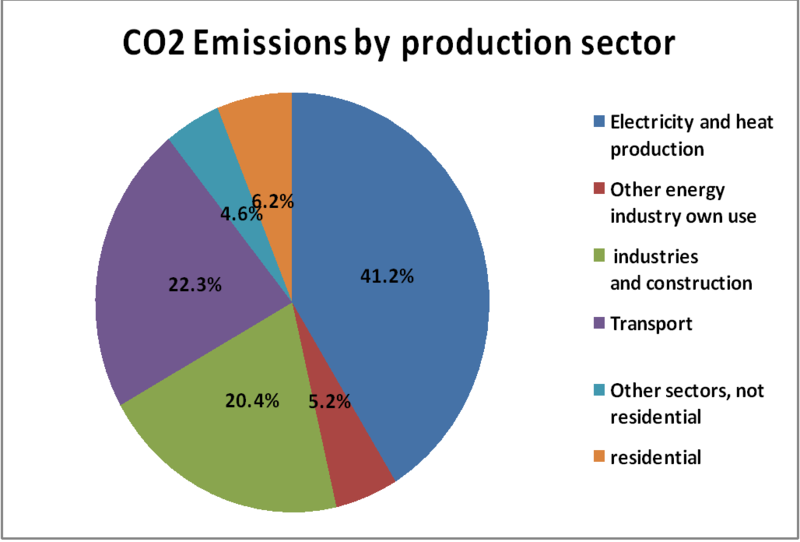 CO2 Emission percentage by production sector in the world, source of data IEA. I frequently think that the climate change solution is in transforming the power production sector and consumers mentality somehow. However, many times remember too that transportation is important and I got in mind the simple figure that one out of three CO2 tons comes from transport. Rough numbers help but it is always better to be more precise, and the two figures in this blog follow this purpose. They have been obtained with the open data from the Internationa Egergy Agency (IEA) and show total emissions in 2010. The first one, at the beginning, displays the emission proportions by emission production sectors. In some cases, these divisions are not easy to understand but the main conclusion can be that electricity production is responsible for more than 40% of emissions and this is good news in my opinion because the progress in low-carbon electricity production has been much fester than in other factors and because in fact there are many countries producing most of their electricity without fossil fuels. Transport and industry account for other more or less 20% each (in industry excluding electricity use). Transport is a bit lower that the 33% that I expected and it is mainly road transport. Residential sector is surprisingly low. 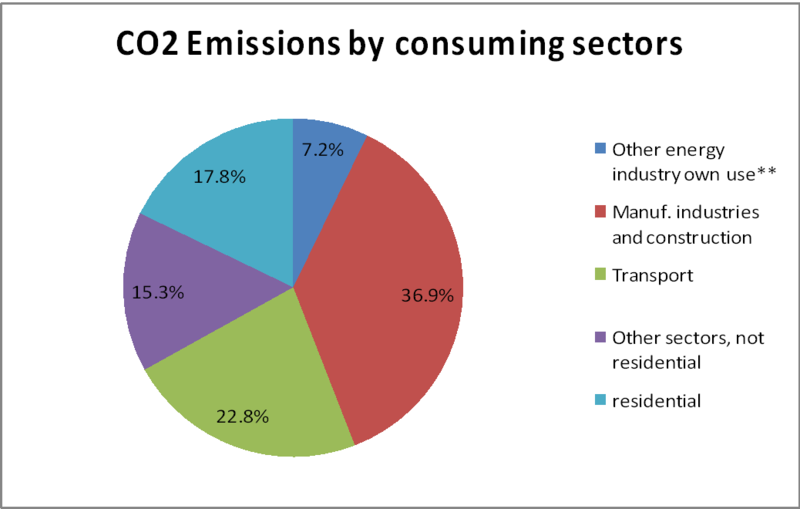 CO2 Emission percentaje by consuming sector in the world, source of data IEA. In the other hand, the last figure classifies the same data by consuming sector. So roughly, industry is the objects we use, transport is transport and residential our houses. In this case, industry leads the figure with 36%, and transport and residential follow close to 20%. The main reference is that we should reach 10-20% of current emissions to be on the safe side, so we have to make important effort in all areas. 2 months ago I wrote about a personal/familiar experience I was happy about, now I know how it is called in english: Community-Supported Agriculture. To write in English is many times a challenge for me. Adaptation: Some of the most terrible consequences of climate change in a world approaching 10 billion will be the pressure in food production and distribution: another word; food security. 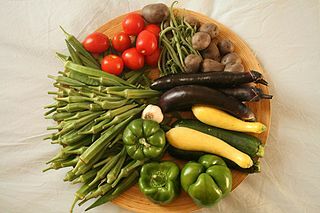 Making it profitable to produce near home will be a warranty of some food production, and, even more, a comprehensive supply chain will avoid disagreeable surprises from markets we do not understand. Of course, I do not think this is the ultimate solution for climate change nor the only possible source of food for me or anyone close to me, it’s just a good idea, reasonable, and helps and works.